If anything I think your lashes look more separated when using the W7 one! http://its-dominica.blogspot.co.uk/ happy new year ! Your lashes look great with both mascaras although there is a little more drama with the Benefit They're Real which I like! 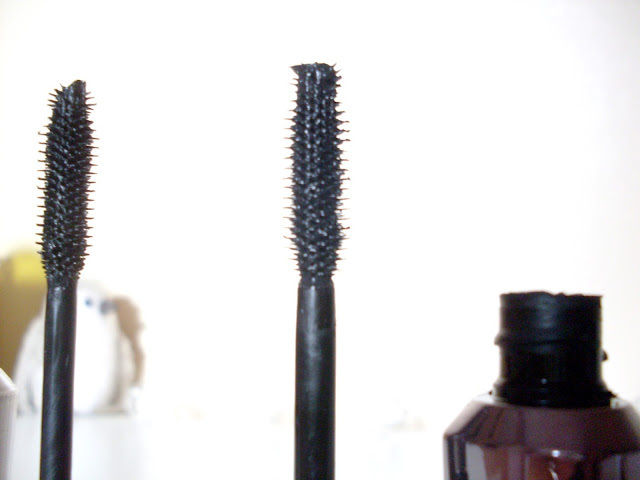 I've only used a mini of it before which I really liked but I generally prefer drugstore mascaras! Wow, this stuff looks great. Worth to try ! First of all, I am so envious of your natural lashes, you lucky girl! I have a strong love/hate relationships with Benefit They're Real. Some days it's amazing and other days it's a bloody pain in my arse. 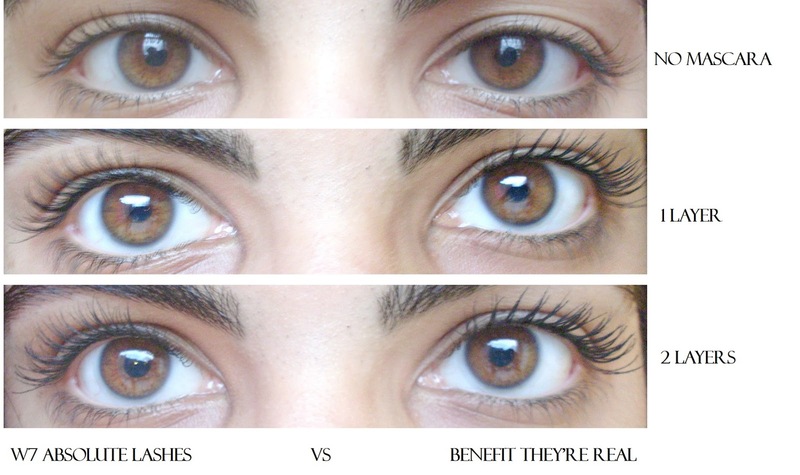 I do agree that W7 mascara looks so much better and natural. The W7 one seems a really good cheaper option! Wow! This is an amazing dupe! Great review! I LOVE the side by side comparison! 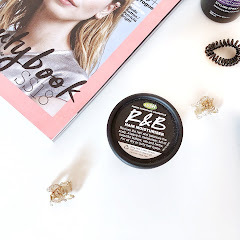 I am a huge fan of the They're Real Mascara but it dries up so quickly and I hate spending so much on it every other month! This stuff doesn't the trick at such an amazing price! I NEED to get my hands on it! I would pick up W7 for sure. It looks so natural! Great review and after reading this I'd definitely be willing the try the W7 option out as a dupe rather than the Benefit option. Your lashes seem to look really good in both though so I think the 2 seem to suit you. That you for the helpful review. So interesting! I love They're Real! 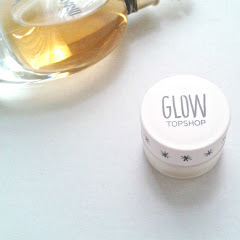 I have to try this since its such a great dupe! 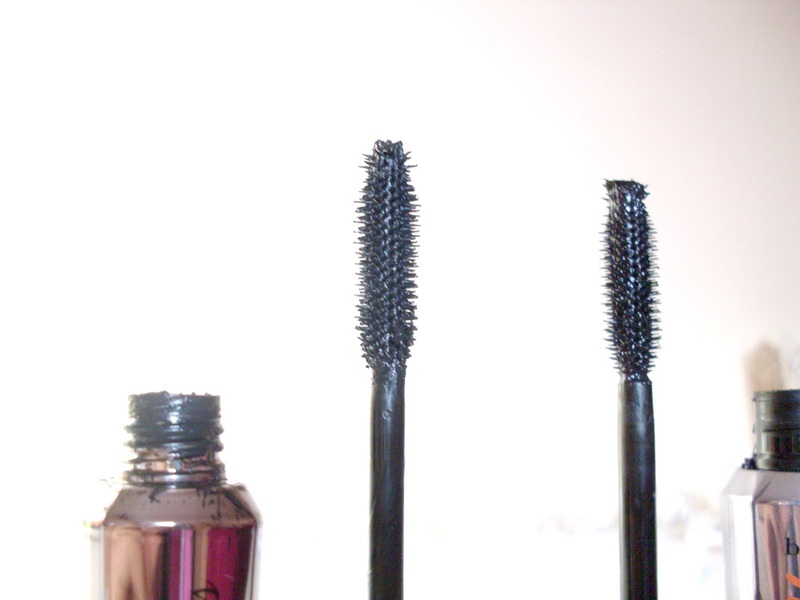 Wow, these mascaras look really cool. It looks like they really worked! Oh wow that's such a good dupe! Great find! You have such gorgeous lashes, lucky duck. 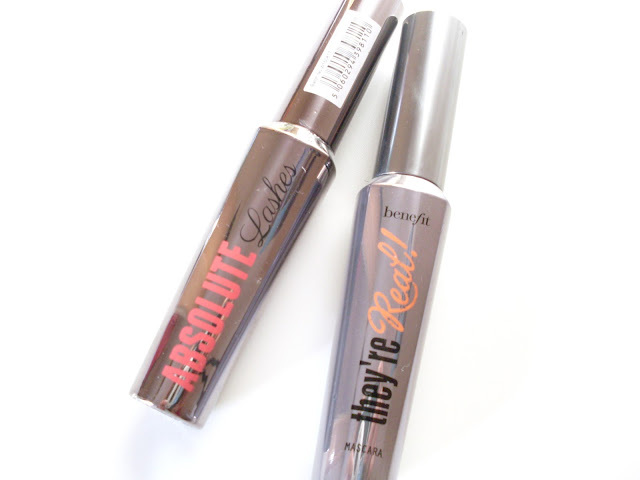 I haven't tried the Benefit mascaras really because some mascaras don't hold a curl very well so I'm never too keen on venturing out. Since w7 is so cheap, I might give it a go! I love mascaras! I'm not too bothered about the brand. 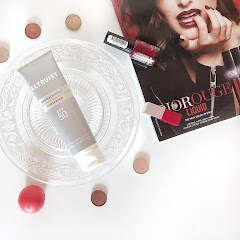 This is a great dupe! I'm not a fan of the they're really at all to be honest, it did nothing for me. I was very surprised at how identical they were at first too, thank you! What a fabulous dupe, you have amazing lashes! They both look very similar, I tend to go for a more dramatic eye look so Benefit would probably suit me better however I've never tried it myself! 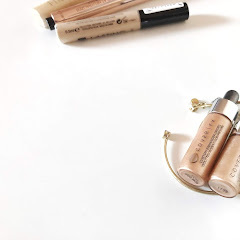 I never knew about this dupe! 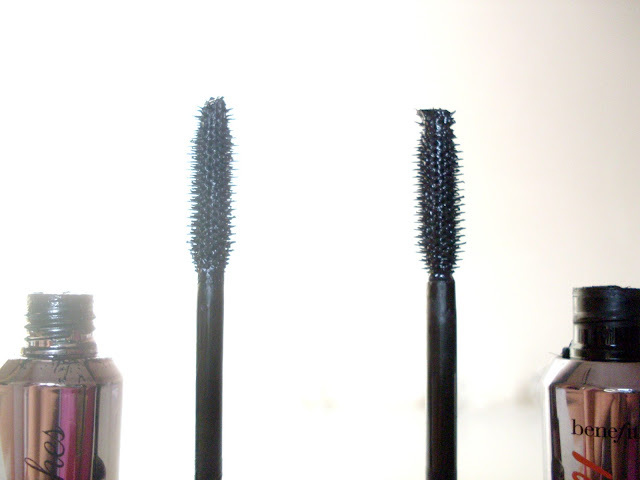 They both look like awesome mascaras. I'm glad it worked for you too! I totally agree with you in terms of the brush, generally I quite like it but I do find it difficult to use in the inner corners. 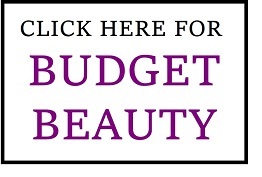 Sounds like a fab dupe for a much more expensive mascara though! Wow the results from these products is absolutely stunning - I really need to try these mascaras out for myself! Thanks for the review! Brilliant review! I love how detailed it is, answers all the questions! I've tried some w7 products before and been impressed but always thought I should go for more expensive mascara. I'm sold! I love Benefit, they're such a good brand. I actually own a few of their products, but not the mascara. But holy wow (I'd curse but I won't) I love the effect it has on your lashes? They're so pretty. And your eyes! I love this mascara. Great review. The mascara looks so great! Great review! I need to try it soon. I used They're Real a few years ago and I really liked it. The W7 one seems a good one for the price! OH MY GOSH I NEEDED THIS! i had no idea what W7 was, and i've been using They're real for years now! I can use the dupe and save some money now! than you so much!! Wow, that's a really good dupe! I love, love, love they're real mascara and this one is just as good! So glad I just came across your blog! So far, I'm loving it! Happy New Year! I love W7's dupe. It is one of my favourites and super affordable!!! What a great dupe, thanks for the review!! This mascara sounds and looks great! I have only tried eyeshadow palettes from W7, but liked them. I would definitely give this mascara a try, as the Benefit's They're Real used to be my absolute favourite mascara. It's actually crazy how similar your lashes look from both products, such a good dupe! Amazing review, i am definitely going for W7 one. It looks great. Wow, the difference it makes! THIS REVIEW IS ABSOLUTELY AMAZING! I AGREE ON THAT W7 ABSOLUTE LASHES ARE BETTER! What a beautiful dupe! I need this in my life!! This W7 mascara is such an incredible dupe! I NEED!! Also, like you mentioned, how similar is the packaging? I don't usually like plastic applicators but the W7 masara looks so good, really want to try it! I am SO impressed with W7 hon. You pretty much can't tell the difference. I love this comparison review! Brilliant job & thanks so much for sharing such a find :) Your lashes look stunning!! Wow I'm impressed, maybe I should go out and grab the W7 mascara for myself! What a great dupe. Awesome review. I really don't do mascara a lot but this is a great product. I haven't tried the W7 mascara but it looks pretty similar to They're Real. I think I'd try it to see what's the actual difference. But seems dupe.